Amazon has continued its winning ways, but is there still an opportunity for investors? Amazon (AMZN) may be over 20 years old, but the company still has the feel of a scrappy startup. As seen with the latest earnings report, the firm continues to grow at a hefty rate. And yes, so has Amazon stock, which hit an all-time high last week. So here’s the latest rundown on the financials: In the third quarter, Amazon revenues jumped by 23% to $25.4 billion and the earnings came to an adjusted 17 cents per share, up from a loss of 13 cents per share in the same period a year ago. Interestingly enough, the Street was actually expecting a loss. Of course, the story for Amazon stock is more than just e-commerce. There is also the substantial growth in the cloud business, which is posting solid margins. So, given the run-up, the story here is whether AMZN stock is still a buy or a “wait and see” kind of stock. With that in mind, here are three pros and three cons. E-Commerce Juggernaut: When Walmart (WMT) recently announced a shortfall in its earnings forecast as well as a spike in capital expenditures for digital initiatives, there was little doubt that AMZN was a key reason. The fact is that the world is rapidly moving towards e-commerce. Research from Forrester forecasts the market in the U.S. to go from $334 billion in 2015 — or 10% of all sales — to $480 billion by 2019. No doubt, AMZN is at the sweet spot of this opportunity. The company has a trusted brand, innovative mobile devices and apps, a highly scalable platform and sophisticated distribution systems. All of these certainly represent huge barriers of entry, even for mega operators like WMT. AMZN also has the advantage of a massive customer base, which is currently about 294 million. 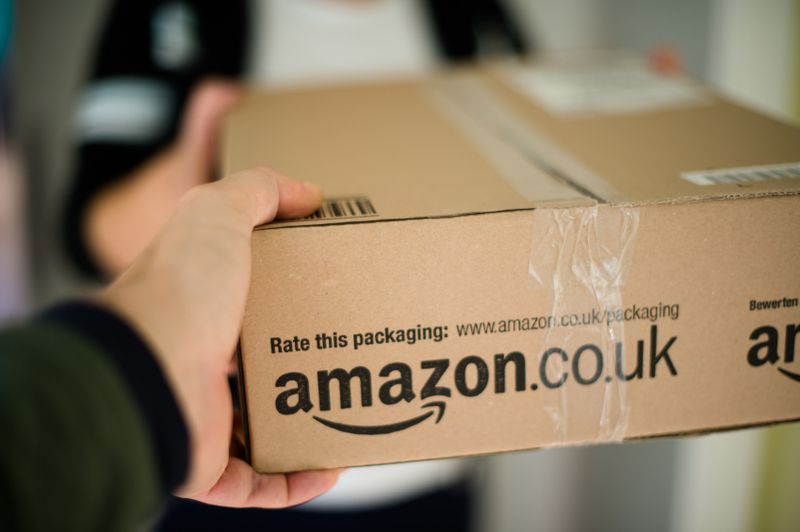 Amazon Prime: This has been a key driver for the success of AMZN stock. Prime essentially helps to greatly improve the customer experience because of faster deliveries, but has also facilitated customer loyalty. Yet Prime continues to evolve, with offerings such as streaming videos, music, grocery delivery and storage. It is not clear how large Prime is, but according to Consumer Intelligence Research Partners, there are 47 million subscribers in the U.S. The firm also notes that a typical Prime member spends about $1,200 per year, which is twice what a nonmember spends. Cloud: When AMZN entered the cloud business over a decade ago, it seemed kind of crazy. After all, the industry was still in the early stages and it was far from clear if companies would adopt this approach to computing. Was it scalable enough? Secure enough? Well, of course, there is little doubt that AMZN made the right wager as the cloud business has turned out to be a roaring success, with revenues spiking 79% in Q3 to $2.09 billion. The operating profit was a hefty $521 million. The good news is that there appears to be much room for growth left in the cloud space. According to research from IDC, the market is expected to go from $49 billion in 2015 to $67 billion in 2018. Valuation: OK, it’s fairly high. For the year so far, AMZN stock is already up a sizzling 94%. For now, AMZN stock is trading at a nosebleed multiple of 114 times forward earnings! By comparison, eBay (EBAY) is only at 14 times earnings and Alibaba (BABA) trades at a mere four times earnings. Overstretch: This is perhaps the biggest risk factor for AMZN stock. It’s always tough for a company to be successful in several categories (hey, it’s hard enough to just do one thing well in today’s highly competitive markets!) Yet with AMZN the situation is even more extreme — that is, the company is playing in both the enterprise and consumer markets. If history is any indication, this could prove too much. After all, companies like Microsoft (MSFT) and Cisco (CSCO) tried dong this — and the strategy eventually fell to pieces. Now it’s true that Jeff Bezos is a brilliant manager and a visionary. But hey, so were Bill Gates and John Chambers, right? Again, the biggest risk for AMZN stock is probably the potential for overstretch. But then again, Bezos has demonstrated he has a grasp on how to manage large organizations and how to take on the competition. And it is also true that the valuation is steep. However, this shouldn’t be a surprise since a company typically earns a premium if it is a dominant player in various attractive markets. All in all, it appears that e-commerce and the cloud are categories that are benefiting from positive secular trends. What’s more, AMZN is nicely positioned to get an outsized share of the revenues. So should you buy Amazon stock? Yes — even though the valuation is still pricey, the company is likely to remain in a high-growth phase. Article printed from InvestorPlace Media, https://investorplace.com/2015/10/amazon-stock-amzn-wmt-ebay/.